One of the things I love about Saskatoon is the massive amount of green space to explore along the Meewasin Trail. One of the areas along this trail that I recently have fallen in love with is Crocus Prairie. There are wide dirt trails perfect for biking, hiking or strolling with your little ones. There are plenty of more rugged off-shoot trails through the native prairie grass that you can investigate as well. 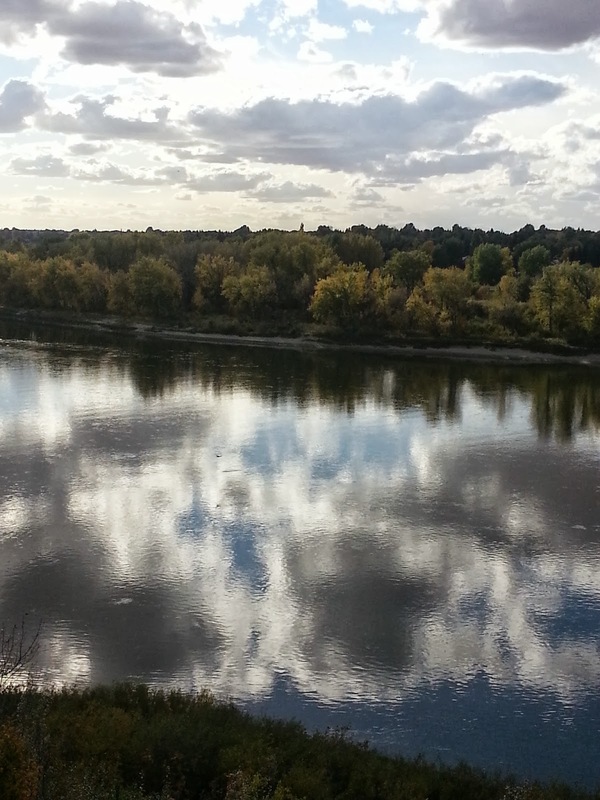 The trail will lead you to breathtaking views of the South Saskatchewan, which is incredibly beautiful year-round. The changing foliage and wildflowers are particularly beautiful in the fall. Lovely little yellow, green and purple butterflies were everywhere on our walk earlier this week. The area is also on the flight path of many planes that are sure to produce "oohs" and "aahs" from little sidekicks. 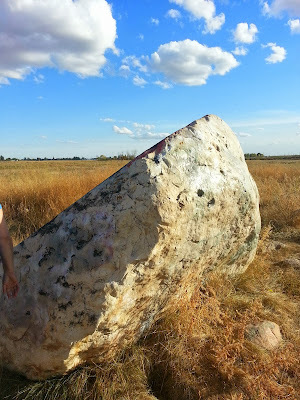 We also love the big "sliding rock" located further down the trail. It takes a bit of effort for my almost-five-year-old to climb with assistance. But the smiles and slide down are worth it. Dogs are allowed off leashes in this area, so you will want to be aware and talk with your kids in advance about the rules of interacting with doggies they do not know. For more photos of our lovely fall day at Crocus Prairie, view our Flickr slideshow.